There may be no better way to learn about the cultural diversity of San Francisco neighborhoods than to sample their culinary delights. Indulging in The City by the Bay’s food scene — and its culture and history — will give you insight into its popularity both as a place to live and as a tourist destination. San Francisco food tours are a great way to participate in — and not just observe — The City. Many different companies offer guided tours, but if you’re food-savvy, you may just want to set out on your own to discover and savor at your own pace. For those still getting their foodie footing, though, the tours are entertaining, educational and well worth the cost. That reminds, though: whichever way you choose, you should wear comfortable shoes… and elastic waist pants also might be a good idea. Grab your best appetite, and let’s get going! 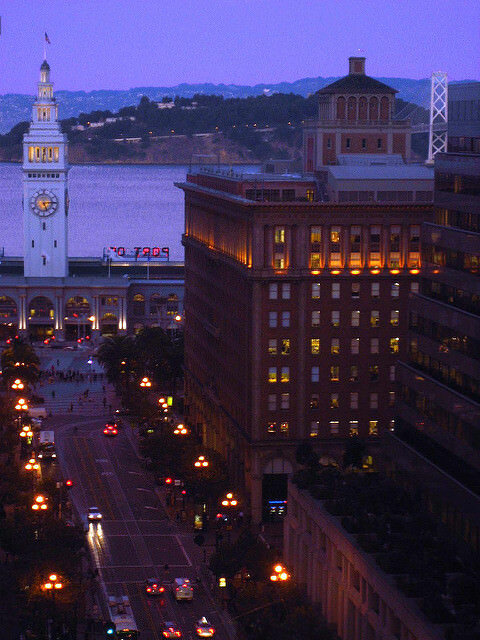 San Francisco’s Ferry Building Marketplace is one of the best places to get a taste of San Francisco’s exciting local food culture, and it is extremely easy to visit. At the center of the city’s transit hub, it is accessible by the ferry system, BART and MUNI, whose historic trolley cars (the F-line) even stop directly in front. There are over 50 shops in the venue’s marketplace, a large percentage of which are unique to the San Francisco Bay Area. There is also a fabulous farmer’s market hosted here year-round on Tuesdays and Saturdays, with Thursday and Sunday markets added seasonally. Be advised it’s quite popular – approximately 10-15,000 faithful shoppers attend each week! San Francisco’s Chinese enclave is fascinating and, for some, a bit overwhelming at the same time. In addition to serving as home to one of the largest Chinese communities outside of Asia, San Francisco’s most densely populated neighborhood (and one of the most densely populated areas in the United States) is also a major tourist attraction. It can be crowded, to be sure, but its tantalizing flavors and aromas just as surely invite your visit and then linger in your memory. Saturday is probably Chinatown’s busiest day, when you’ll find a bevy of produce and live markets lining Stockton Street between Columbus and Broadway during the afternoon. Whatever the day, there are plenty of restaurants – offering everything from delicate dim sum and classic Cantonese cooking to spicy Szechuan dishes and traditional rice porridge. (Don’t miss the video of a Chinatown fortune cookie maker at our San Francisco Neighborhoods article.) Foodies will probably want to stop in The Wok Shop to peruse the vast assortment of Asian-kitchen implements and accessories – everything from steamers to clay pots to tea sets and more! The Mission District is known for the colorful murals that decorate its buildings, a place to enjoy Latin culture and, more recently, extraordinary food. You’ll find enough taquerias, pupuserias and bakeries to whet and satisfy even the most robust appetite! (A pupusa, by the way, is Salvadoran corn flour flat bread and usually topped with cheese, beans and/or bacon.) For dessert, consider the truly unique ice cream at Humphry Slocombe’s or the knockout pastries available at Knead Patisserie (at the rear of the Local Mission Eatery on 24th Street at Folsom Street). If you’re wondering which Mission District restaurants to try while exploring the area, this resource – compiled by Chef William Werner from one of our favorite restaurants in that area, Craftsman and Wolves – will certainly give you a good starting point. If it’s a pretty day, you should also consider sampling the Mission District’s food cart fare and taking it to Delores Park to eat. There are so many wonderful restaurants in this San Francisco neighborhood that you’ll likely need several San Francisco vacations to even try half of them! This North Berkeley neighborhood (more formally referred to as North Shattuck) is considered the birthplace of California cuisine – it is here that Alice Waters began Chez Panisse in 1971, deftly marrying French recipes with California ingredients. The Gourmet Ghetto is not all about Chez Panisse, however, not by a long shot. In fact, it is nothing short of culinary connoisseur nirvana! Just a sampling of the “don’t miss” Gourmet Ghetto establishments: Saul’s Deli (just the thought of Niman Ranch pastrami on organic ACME rye bread makes my mouth water), Love At First Bite Cupcakery, the Cheeseboard Collective (a neighborhood staple since 1967 and at this location since 1975), the Juice Bar Collective, Vintage Berkeley wine shop and the very first Peet’s Coffee & Tea, which opened here in 1966. Just so you know: that’s not a comprehensive list. There are many more restaurants and the Epicurious Garden, as well, a food hall sometimes referred to as “the Ferry Plaza Lite.” You will likely end your Gourmet Ghetto culinary adventure with the words, “I will never eat again,” but you will… so maybe stop by Gregoire for some delicious (albeit pricey) gourmet takeaway? By the way, foodies visiting San Francisco should put a visit to Omnivore Books on their “must do” lists; you can check out the comments on Yelp to get a sense of why. In a building that once housed a butcher shop in San Francisco’s Noe Valley neighborhood, this bookstore is world-renowned for its collection of new and used cookbooks. Also, be sure to check out the Events tab on the Omnivore Books website to see what chefs, sommeliers and/or culinary authors may be speaking or signing their latest work during your San Francisco vacation. And, while you’re in Noe Valley, you may want to consider a mini food tour with stops for picnic fare at 24th Street Cheese and Noe Valley Bakery. Or, if your Omnivore Books excursion puts you in the neighborhood around dinner time, consider making reservations at Firefly Restaurant. It’s about a 15-minute walk from the bookstore, and we’ve never had a bad meal there! That’s just a sampling of the San Francisco Food Tours available to you to investigate on your own or enjoy with a guide. And, no, we didn’t forget about San Francisco Chocolates or San Francisco Bay Area cooking classes. We’ll just have to cover them in separate articles. 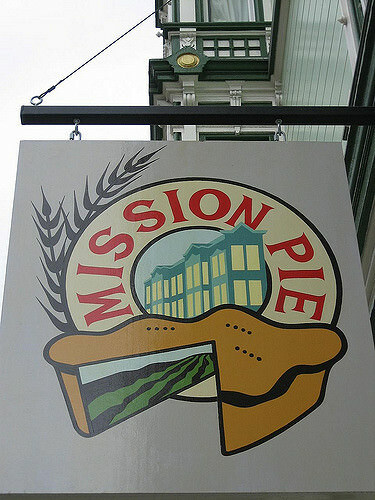 Photo of San Francisco Ferry Building by jenster181 via flickr (Creative Commons) and Photo of Mission Pie in San Francisco by Eric Heath via flickr (Creative Commons).